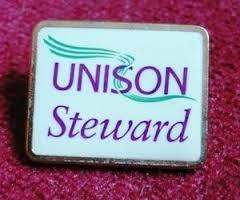 UNISON elects annually to a number of Branch Officer positions as well as stewards and local representatives. We are always looking for people to be more involved and welcome applications to any of these positions. We have set out some basic information of what is involved in the job, but if you want any further information please give us a call—0161 716 3392. The backbone of UNISON. 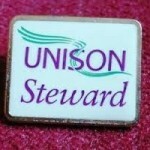 Without stewards there would be no link between members and the union. With appropriate training and support, stewards are expected to recruit and organise members around workplace issues; support members with workplace problems, represent members in individual and collective cases, provide advice and keep members informed of latest developments. 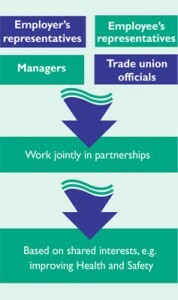 Stewards also sit on the branch committee and therefore take an active role in how the branch and union is run. UNISON stewards have a right to reasonable paid time off for Union duties. or other enforcing authorities; inspect designated workplace areas at least every three months; investigate any potential hazards, complaints by members, and causes of accidents, dangerous occurrences and diseases. Employers are obliged by law to carry out risk assessments which identify dangers in the workplace and look at how likely they are to cause harm. Provide advice and support on equality and discrimination issues in their area. Equality reps will talk to members to find out if they are being treated fairly, talk to managers to find out if they understand what they are required to do under the law and also what their own organisation’s policies are on equality issues. 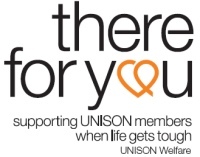 They may support UNISON accredited reps who take cases on behalf of members, and/or support branch negotiators by identifying and analysing information about the employer’s equality performance. 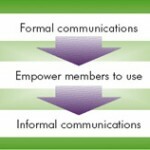 Raise awareness of lifelong learning and help to identify and articulate the learning needs of particular members, as well as negotiating with employers on learning issues. The leader of the UNISON branch. The Secretary is responsible for negotiating on behalf of members, and for ensuring that members receive good representation in line with UNISON rules, and provides a strategic overview of any campaigns on behalf of members. The Branch Secretary is expected to provide support to and coordinate the work of other stewards to ensure that best possible outcomes for members. The Branch Secretary ensures that the branch runs effectively and keeps accurate records, convenes and attend branch meetings. Presides over all branch meetings, ensuring that meetings are convened in accordance with UNISON rule. The Chairperson has an important role in assisting the Secretary in the leadership of the branch. Responsible for the Branch finances and ensures the accounts are kept in accordance with UNISON rules. The Treasurer provides regular financial reports and advice for the Branch Committee, a set of audited accounts, and the annual return of branch income and expenditure. Leads the work of the branch on the training and education of activists, ensures that UNISON stewards are appropriately trained for their duties and ensured that steward development is accurately monitored. Leads the work of branch on Union Learning Representatives and negotiates with the employer on education and learning. Leads the work of the branch on equality issues and ensures the branch keeps equalities at the forefront of everything we do, including negotiations with employers. Leads the work of the branch on health and safety, offering advice to Health and Safety Representatives and negotiating with employers and liaising with outside H&S related organisations. Leads the work of the branch on international relations and ensures that members are informed of UNISON’s work in this area. Must be under 27 years of age for the whole of their term of office. 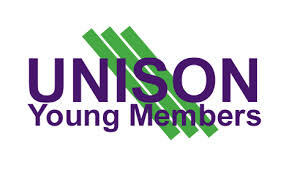 The Young Members Officer encourages young people to become members and become active in the branch. The Welfare Officer undertakes branch welfare activity and ensure that any members seeking welfare assistance receive a prompt, effective and supportive response. The Wel fare Officer is responsible for ensuring that Officers and Stewards have the most up to date information on welfare, and that members know how to access support. Must be an individual member of the Labour Party and pay the political levy and is elected only by the members who pay the political levy. The Labour Link Officer is a the key branch contact for national and regional labour link activity and co-ordinates Labour Link activities in the branch. Must be a retired member, is elected by the retired members and encourages members approaching retirement to become retired members and encourages the involvement of retired members in the activities of the branch. The Auditor(s) oversees the financial records of the branch and undertakes an annual audit of the branch financial records. The Auditor(s) must not be a member of the Branch Committee or hold any other position.